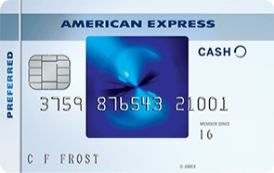 The Blue Cash Preferred® Card from American Express is a very good card for earning cash back at supermarkets. No other card that we know of offers 6% cash back in this category. Though there is an annual fee, many folks will more than make up for that with cash back earnings. Earn Cash Back : This is the cash back formula for this card. The cash back that you earn with this card is called "Reward Dollars". You can redeem the rewards that you earn in a few ways. Below is a screenshot of the various ways which you can redeem your cash back. Below is a screen shot of my statements from my trip to Acme. It was classified as grocery. 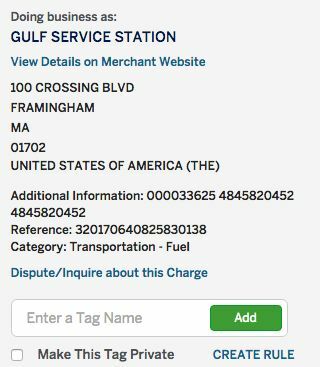 Below is a screenshot of my statement showing my purchase at a Gulf gas station. As you can see from the table above, there are three kinds of cash back credit cards. The first type is something like this card where you earn 1% cash back, and more than 1% on a couple of categories. Other examples of this type of cards include the BankAmericard CashRewards. There are also rotating category cards where you can earn 5% cash back on certain items, but only for a quarter. And the categories change every quarter. Then, there the 1.5% cash back cards where you earn a flat 1.5% cash back for all your spending. These cards are becoming more popular. For it's category, this card offers perhaps the highest cash back. 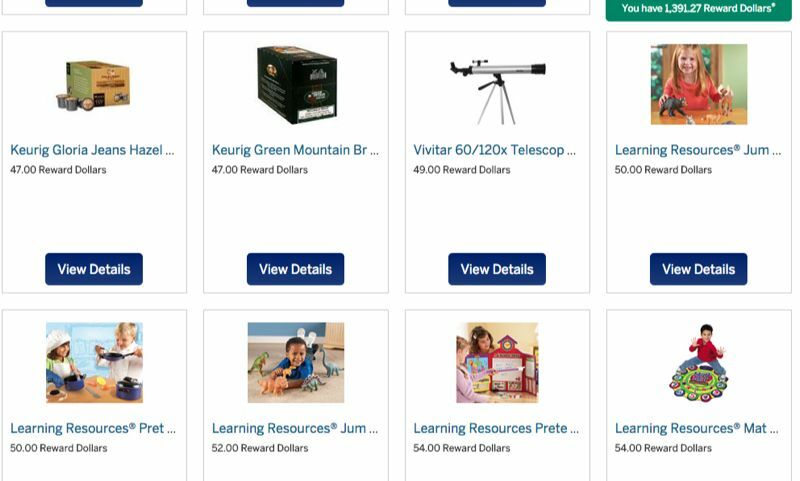 For example, the BankAmericard CashRewards lets their card members earn 2% cash back at supermarkets and wholesale club whereas BCP lets you earn 6%. It is really hard to compare this card to rotating category or 1.5% cash back cards as it is really comparing apples and oranges. All we can say is that if you use your card at supermarkets and grocery stores, you should definitely consider this card because there is no other card that allows you to earn 6% cash back at supermarkets. As far as we know, the 6% cash back that you can earn at supermarkets (ie grocery spending) is something no other card offers at the moment. The 3% cash back you can earn at gas stations is pretty competitive and we also know of no other cards that allow you to earn 3% cash back at "select department stores". Unless you don't cook at all and eat out all the time, you should seriously consider this card because you could earn cash back (and save money) by using this card at supermarkets. I suspect that most families and kids will benefit a lot from this card. We mentioned earlier that American Express also has a no annual fee version of this card. The cash back you earn is less (3% @supermarkets vs 6% for this card, 2% @gas stations and select department stores vs 3% for this card). You should analyze your spending and figure out which card would earn your more cash back. Despite the fact that there is an annual fee for this card, many of you will be better with this version rather than the no annual fee version. Once again, we suggest using our calculators to compare both cards. Does Amex Blue Cash Preferred have to be paid in full each month? No it does not. The Blue Cash Preferred is a credit card and not a charge card. So you can carry a balance. If you do so, you will be charged an interest rate like other credit cards. Is Amex Blue Cash Preferred a charge card? No it is not. It is a credit card which means you can carry a balance. Does Blue Cash Preferred have foreign transaction fee? Yes there is. It is 2.7%. Do I still earn cash back if I use Apple Pay? How do I redeem cash back that I have earned? 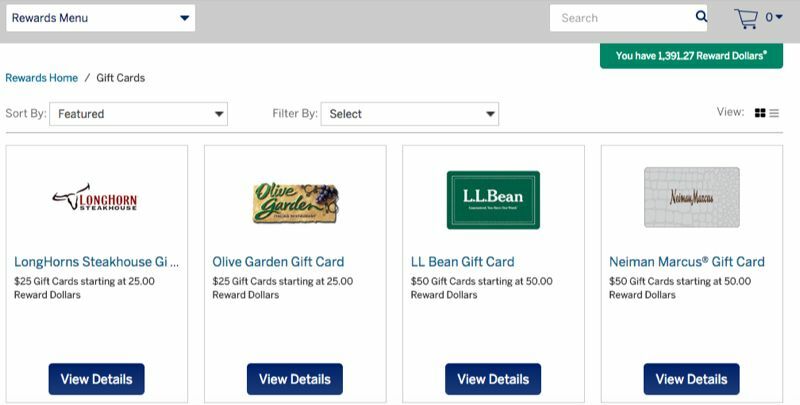 You can redeem for statement credits, gift cards or merchandise. Redeeming for statement credit has the most value. Can I use BCP at Costco? No you cannot. Costco now only accepts Visa or debit cards. 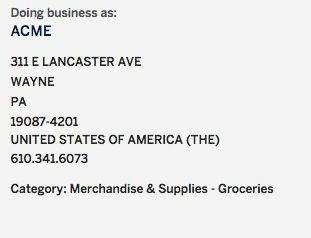 They used to be a partner of Amex but those days are long gone. What if I spend more than $6,500 a year on groceries? Once you exceed $6,500 in supermarket spending, you will only earn 1% cash back. If you still want to earn more than 1%, you can also get the Blue Cash Everyday in addition to this card. Alternatively, if you have a joint account with your spouse, he or she could also get this card. Then effectively, your threshold is now $13,000 annually in supermarket spending.